By land and by sea, America’s Arctic is under attack. Image Landsat / Copernicus. Data SIO, NOAA, U.S. Navy, NGA, GEBCO. Image IBCAO. Google Earth. Earthjustice is fighting on multiple fronts to protect America’s Arctic, one of our last truly wild landscapes. The tundra, icy seas, and craggy mountains on the north coast of Alaska are unlike anywhere else on Earth. These are places with no roads, no infrastructure, and no noise from machinery or civilization. They are federal lands and waters, held in trust by all Americans. The Arctic lands and waters targeted for oil and gas drilling remain wild today because people took a stand to protect them. Yet under the Trump administration, special interests have gotten a free pass to push their dirty energy agenda. The Trump administration has targeted substantial protections, gained through decades of advocacy, to pave the way for industrial exploitation in the region’s most sensitive lands and waters. Earthjustice and our allies are challenging expanded oil and gas drilling across America’s Arctic. And we’re making progress. On Mar. 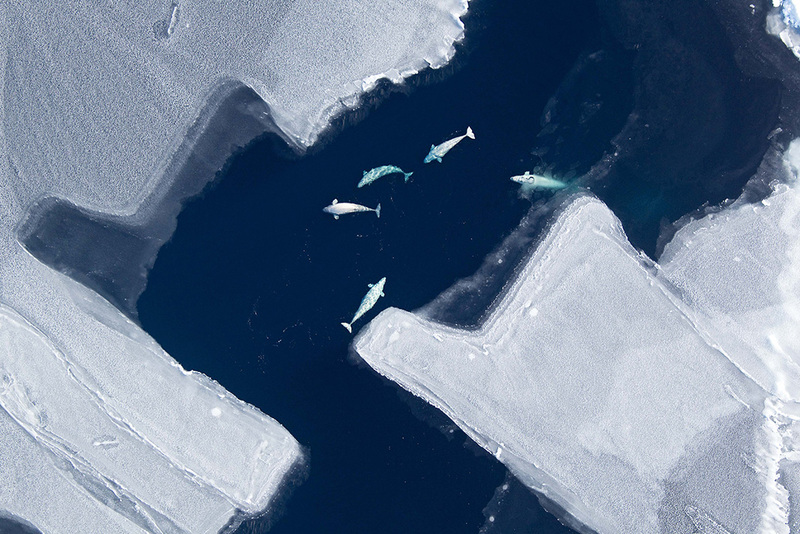 29, 2019, America won a huge victory: the vast majority of the Arctic Ocean saw protections from drilling restored following a court decision in a lawsuit brought by Earthjustice on behalf of our clients. In the Western Arctic, the Trump administration has sought to roll back hard-won safeguards for sensitive territories, and auctioned off millions of acres to industry. In the Arctic National Wildlife Refuge the Republican-controlled Congress overturned decades of protection in 2017 by opening the biologically rich coastal plain to oil and gas drilling, setting the stage for legal and legislative battles. 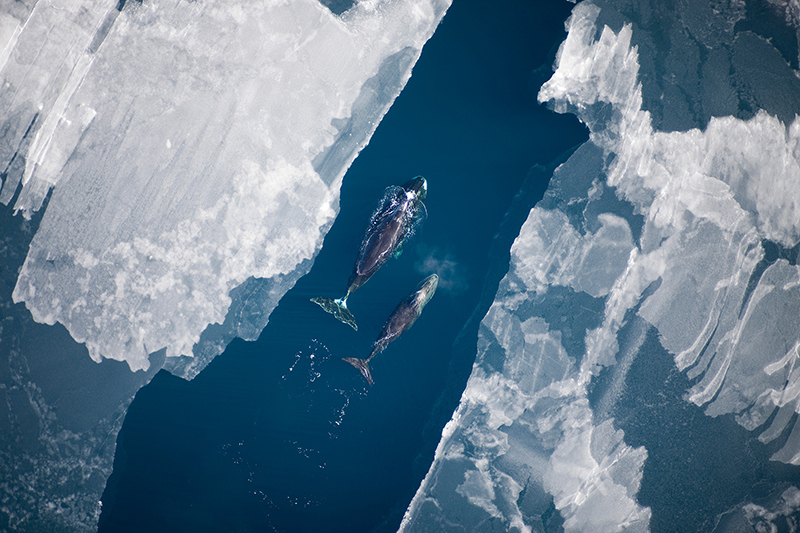 A bowhead whale (Balaena mysticetus) and calf surface in the Arctic Ocean. Caribou in the Western Arctic near Teshekpuk Lake. In the Arctic National Wildlife Refuge the Republican-controlled Congress in 2017 overturned decades of protection by opening the biologically rich coastal plain to oil and gas drilling, setting the stage for legal and legislative battles. Each summer, the Arctic Refuge shelters migratory birds from all 50 states and six continents. We are challenging the Bureau of Land Management’s approval of new lease sales and exploratory drilling in National Petroleum Reserve-Alaska in the Western Arctic. We are working with a broad coalition of allies to defend the Arctic National Wildlife Refuge from the irreversible harm that would come from oil and gas drilling. We took President Trump to court for unlawfully seeking to undo the permanent Arctic Ocean drilling ban created under the Obama administration. And we won.1 A federal judge struck down Trump’s order, restoring permanent protections from drilling to 98% of the Arctic Ocean. The judge ruled Trump exceeded his constitutional authority and violated federal law — demonstrating that our country remains a nation of laws, in which the judiciary stands ready to ensure that no one can act above the law. And by the U.S. government’s own telling, the chances of a major oil spill are dangerously high3 and the ability to clean it up extremely low4 if offshore development goes ahead. There’s no place on Earth like the Arctic. Iconic species like polar bears and walruses can’t find another home farther south—and there’s no farther north to go. Far more than full-time northern residents rely on the Arctic for survival. Migratory birds from all 50 states and six continents nest in the Arctic National Wildlife Refuge and parts of the Western Arctic. If we destroy the lands where they raise their young, the whole world will feel the loss. Learn why these regions under threat are so precious and what tools we have to fight back. The Latest: Native Village, conservation groups challenge winter oil and gas drilling in the Western Arctic. The Western Arctic Reserve is the largest tract of undisturbed public land in the United States, home to migratory birds, brown bears, caribou, threatened polar bears, walruses, endangered beluga whales, and more. The Alaska Native communities that live in the region have sustained themselves for thousands of years with wild foods harvested from the Western Arctic Reserve’s lands and waters. Top left: Snow goose (Chen caerulescens). 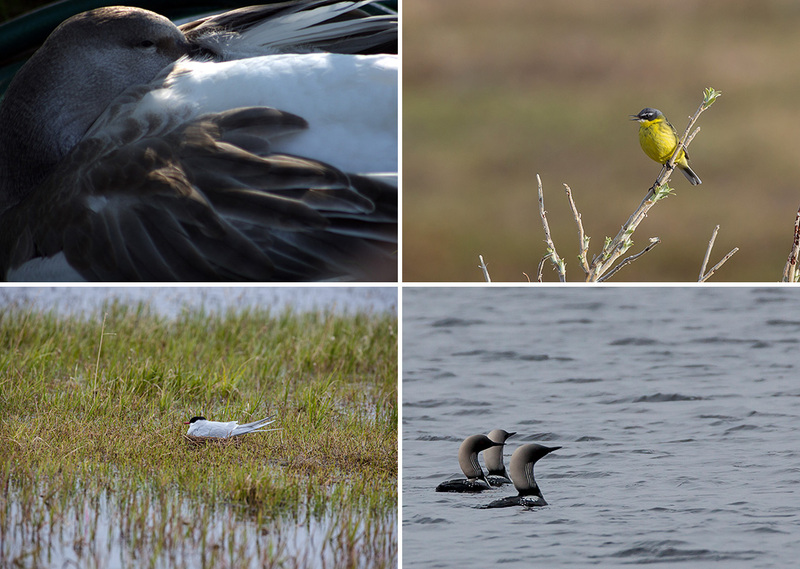 Clockwise from top right: In the Western Arctic, eastern yellow wagtail (Motacilla tschutschensis), Arctic loon (Gavia arctica), Arctic tern (Sterna paradisaea). Earthjustice has gone to court several times in the last decades6 to defend the Western Arctic, an Indiana-size tract of federally owned land. Administratively known as the “National Petroleum Reserve-Alaska,” much of the Western Arctic is wild and undisturbed, in contrast with the industrialized oil fields of Prudhoe Bay to the east. Yet Trump’s Department of Interior has opened the door to significant expansion of industrial activity in and around the Teshekpuk Lake Special Area, and is steadily moving forward with a rewrite9 of the Obama-era management plan. In addition to providing some of the most important migratory bird habitat in the world, the wild area is home to the Teshekpuk Caribou Herd. 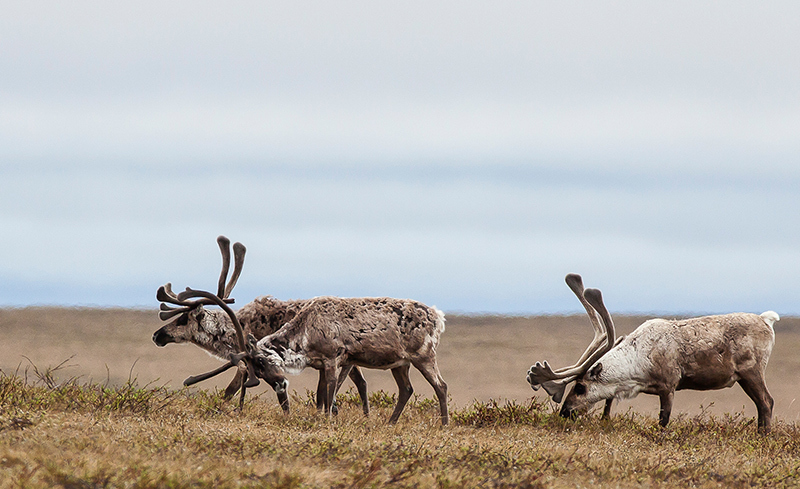 For generations Iñupiat people have tracked and hunted these caribou, and Indigenous subsistence hunting is vital to the culture and economy of the nearby Native Village of Nuiqsut. Earthjustice is representing the Native Village of Nuiqsut tribal government and five conservation groups in a challenge to BLM’s approval of ConocoPhillips’ winter exploratory drilling program. Lease sales have exposed more of the Western Arctic to drilling than ever before. More than 10 million acres of the Western Arctic were offered for oil and gas leasing in December 2017,10 an area nearly equivalent to the size of Massachusetts and New Hampshire, combined. The 2018 lease sale included another 2.85 million acres. One oil company, ConocoPhillips, holds most of the leases in the Western Arctic, and it has plans to explore and develop ever further westward and closer to the irreplaceable Teshekpuk Lake area. With the many looming threats to the Arctic, it’s here in the Western Arctic that the oil industry is already making investments and proposing to drill in sensitive areas now. But there’s reason for hope: We’ve persuaded courts to keep this land wild before, and now we are back in court fighting to preserve the Western Arctic. 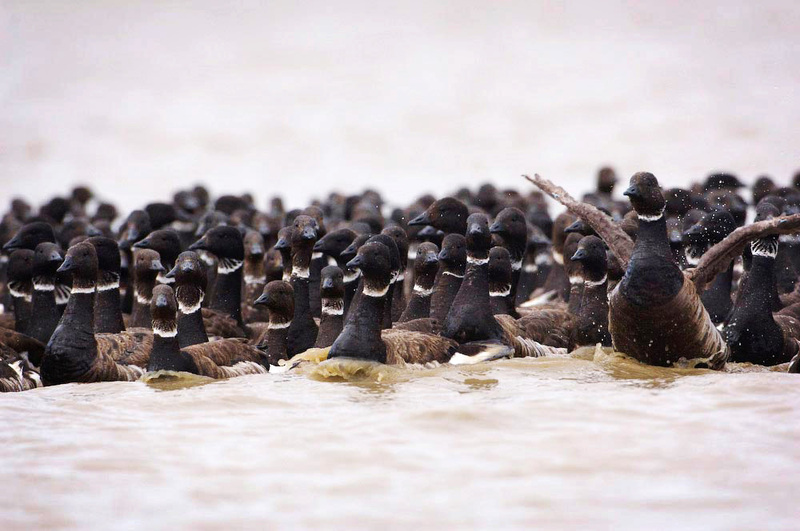 Black Brant geese (Branta bernicla nigricans) congregate to molt their flight feathers in the Teshekpuk Lake Special Area. On behalf of Natural Resources Defense Council, Greenpeace, Center for Biological Diversity and Friends of the Earth, Earthjustice filed suit on Feb. 2, 2018,11 in the U.S. District Court in Anchorage challenging federal lease sales12 that pave the way for expanded oil and gas drilling in the National Petroleum Reserve-Alaska. Among other flaws, the Bureau of Land Management completely ignored the effects of greenhouse gas emissions that will accumulate if Reserve fossil fuels are extracted and burned, even though the National Environmental Policy Act13 requires the agency to analyze these foreseeable climate impacts and their serious implications for future generations. We are now appealing the district court's procedural dismissal of our challenge. The decision was made on procedural grounds in December 2018, without reaching reaching the merits of our arguments. You can help defend the Western Arctic. The Latest: Public overwhelmingly opposes drilling in the Arctic Refuge. Generations of American leaders have protected the Arctic National Wildlife Refuge from development. The unspoiled 19 million acres of tundra, rivers and mountains shelter migratory birds from all 50 states and six continents each summer. Grizzlies, wolverines, musk ox, and tens of thousands of caribou also call the Refuge home. To the Gwich’in people of northeast Alaska, this is sacred ground. 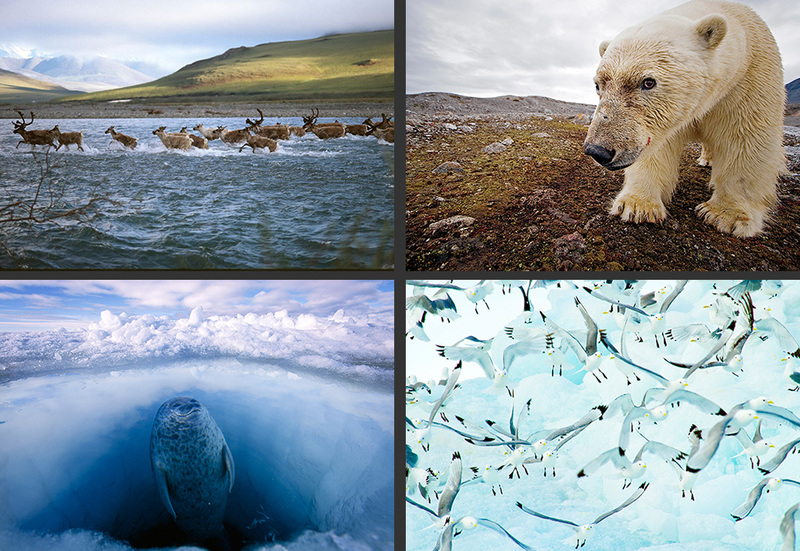 With a 360° film experience, we bring you to the Arctic Refuge. As the video plays, use your mouse to click-and-drag on the video to pan around 360°. Best viewed in full screen. Please turn on sound to hear the narration. For the most immersive viewing experience, use a VR headset. For a 360° mobile film experience, open the video in the Youtube app by tapping on the text title of the video above. Then, set the video to full screen. As you move your phone, the video will move 360°. Please turn on sound to hear the narration. For the most immersive viewing experience, use a VR headset. In December 2017, Trump signed the Tax Cuts and Jobs Act, a bill that used backdoor budgetary tactics to open the Refuge’s coastal plain to oil and gas drilling.14 The measure requires the Interior Department to hold an oil and gas lease sale in the coastal plain within four years, and the administration is already moving forward. In February of 2019, lawmakers introduced the bipartisan Arctic Cultural and Coastal Plain Protection Act in the 116th Congress. This bill would restore critical protections prohibiting oil and gas development on the coastal plain of the Arctic National Wildlife Refuge, effectively undoing the measure from the 2017 tax bill. At a Senate Energy and Natural Resources Committee hearing in November of 2017, Gwich’in tribal member Sam Alexander described15 how drilling in the Refuge would destroy his people’s way of life. American tree sparrows (Spizelloides arborea) in the Arctic Refuge. And it won’t just be the wilderness and wildlife of the Refuge that will suffer if drilling proceeds there. The emissions from oil and gas development would exacerbate global warming and raise global sea levels, increasing the climate threat to low-lying coastal cities around the world. 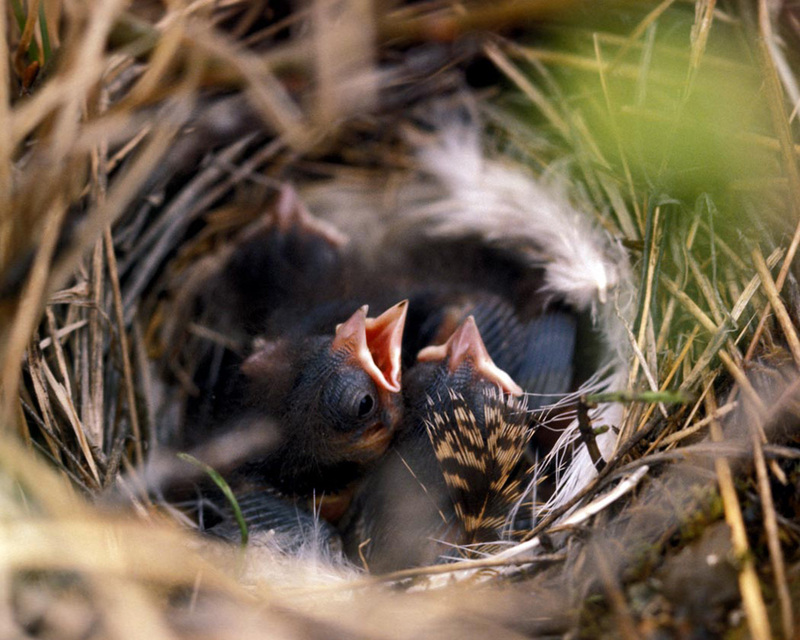 Political leaders have repeatedly determined that drilling in the Refuge is a terrible idea. President Dwight Eisenhower set aside the territory as a federally protected area in 1960, for the purpose of preserving unique wildlife, wilderness and recreational values.20 President Bill Clinton vetoed a 1995 budget bill21 that would have opened the Arctic Refuge for oil and gas leasing. Earthjustice is working with a broad coalition of partners to oppose this latest reckless attempt to hand over the publicly owned wilderness of the Arctic Refuge to the oil and gas industry. Trump has signed a law opening the Refuge to oil leasing, but before anything can happen on the ground, the Trump administration will have to comply with many federal laws designed to protect the values of the Refuge. We will take action to enforce those laws. The fight to keep oil drilling out of the Refuge is just beginning, and we will be there every step of the way. The Latest: On Mar. 29, the U.S. District Court in Alaska struck down President Trump's order to undo drilling protections for the Arctic, restoring protections to 98% of the Arctic Ocean from drilling. The lawsuit, brought in 2017 by Earthjustice on behalf of our clients, challenged the administration's executive order that attempted to undo permanent protections for the Arctic and Atlantic. There is currently no offshore oil and gas development in the American Arctic Ocean, thanks in part to vigilant advocacy. The region’s two seas, the Beaufort and the Chukchi, are home to seals, walruses and bowhead whales. Polar bears live on the seas’ drifting ice. Trump sought to erase the protections already in place for these vibrant but sensitive waters. In several critical cases, we won injunctions that stopped drilling and forced reconsideration of the federal government’s plan to turn the Arctic Ocean into an oil field. We’ve had a preview of how disastrous Arctic Ocean drilling could be. 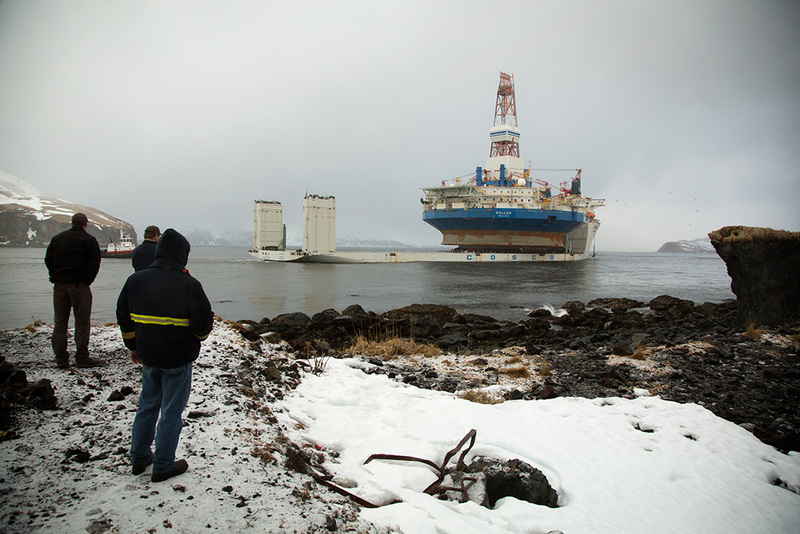 The drillship Kulluk is towed out of Alaska on March 26, 2013, after the towing line to the icebreaking anchor-handling tug Aiviq parted in heavy weather, and the unit ran aground on Sitkalidak Island. Building on our successful legal efforts, we undertook a campaign with our partners at the close of the Obama administration to put in place permanent protections for the Arctic Ocean. On Mar. 29, 2019, the court ruled against the Trump administration, restoring permanent protections from drilling to 98% of the Arctic Ocean, in addition to uniquely important deepwater canyons in the Atlantic Ocean. The opinion demonstrates that this country remains a nation of laws, in which the judiciary stands ready to ensure that no one can act above the law. In light of the reinstatement of these protections, this year's court ruling will force the Trump administration to reconsider its aggressive national five-year leasing program for the outer continental shelf. 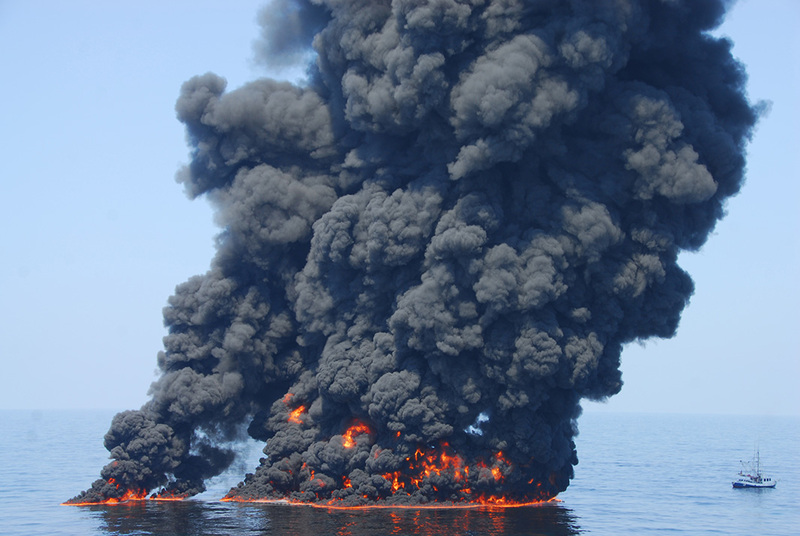 Meanwhile, the Trump administration is also trying to weaken offshore drilling safety rules36 enacted in response to the Deepwater Horizon oil disaster. Coast Guard Admiral Paul Zukunft, who led the federal response after the Deepwater Horizon spill, told a Washington symposium in July of 2017 that there is no hope of cleaning up a similar spill in the Arctic. “And in fact, in the best of days, during Deepwater Horizon, we maybe recovered 15% of that oil … We had a fleet of over 6,000 ships out there doing recovery operations—and we had the infrastructure to support all of that. 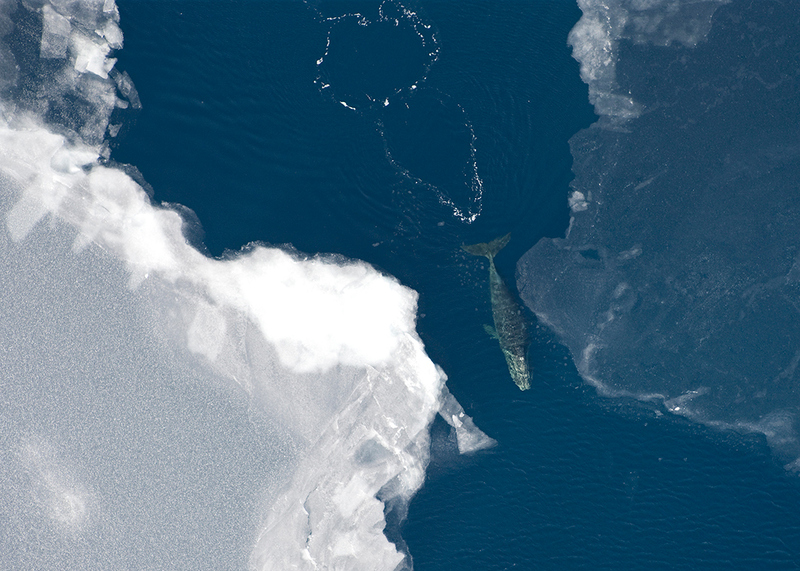 A bowhead whale (Balaena mysticetus) surfaces in the Arctic Ocean. The public has already spoken out against what the Trump administration is proposing, and opposition is steadily growing as the new offshore leasing proposal moves forward.38 During the development of the Obama-era plan President Trump is now trying to replace, 1.4 million people submitted comments that called for no new offshore drilling. The Arctic has warmed more than twice as rapidly as the rest of the United States over the past 60 years, leading to impacts such as thawing permafrost and vanishing sea ice—and the trend is only expected to continue. To reverse course and avoid the worst impacts of climate change, the world must aggressively reduce greenhouse gas emissions, but the Trump administration is moving us in the opposite direction. Rather than permanently alter unique wilderness landscapes and jeopardize biologically rich Arctic Ocean waters with the risk of a catastrophic oil spill, the wisest course for America’s Arctic and the rest of the globe is to keep it in the ground. Learn more about indigenous-led movements and environmentalists’ ongoing efforts to protect the Arctic through The Last Oil, a symposium hosted by the University of New Mexico in February 2018. LCV v. Trump, U.S. District Court for the District of Alaska, Case No. 3:17-cv-00101-SLG, 2019. 2019–2024 National Outer Continental Shelf Oil and Gas Leasing: Draft Proposed Program. Bureau of Ocean Energy Management, January 2018. McGlade C, Ekins P. “The geographical distribution of fossil fuels unused when limiting global warming to 2°C.” Nature, 2015 Jan 8;517(7533):187-90. doi: 10.1038/nature14016. Langlois, Krista. "Drilling the Arctic comes with a 75 percent chance of a large oil spill." High Country News, Dec. 10, 2014. U.S. Coast Guard Commandant Adm. Paul Zukunft, speaking at the 7th Symposium on the Impacts of an Ice-Diminishing Arctic on Naval and Maritime Operations on Jul. 18, 2017. Mr. Samuel Alexander, Tribal Member, Gwichyaa Zhee Gwich’in Tribal Government, speaking before the Full Committee Hearing to Receive Testimony on the Potential for Oil and Gas Exploration in the 1002 Area at the 366 Dirksen Senate Office Building on Nov. 2, 2017. Audio excerpt begins at 1:08:38. Read legal documents and news releases on the lawsuits. 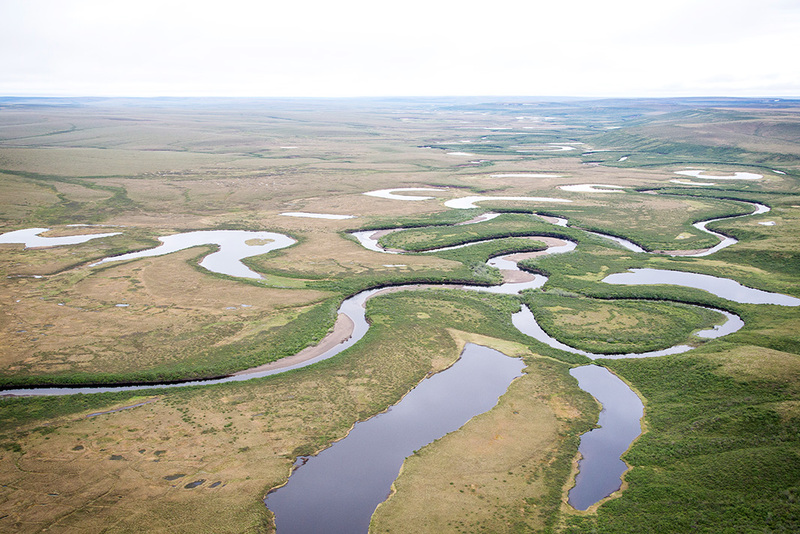 "Federal Court Decision Protects Alaskan Lake, Wetlands From Oil Drilling." Earthjustice, Sept. 25, 2006. "Secretary Salazar Finalizes Plan for Additional Development, Wildlife Protections in 23 Million Acre National Petroleum Reserve-Alaska." U.S. Department of the Interior, Feb. 21, 2013. "Interior Order on Oil and Gas Drilling Puts Arctic Public Lands at Risk." Earthjustice, Jun. 1, 2017. "Call for Nominations and Comments for the National Petroleum Reserve in Alaska Oil and Gas Lease Sale." Federal Register, 82 FR 36827, Aug. 7, 2017. 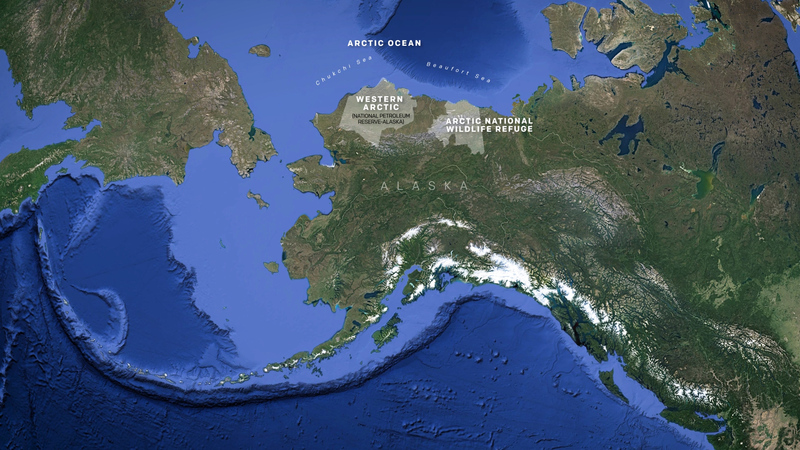 "Conservation groups challenge illegal Western Arctic lease sales in court." Earthjustice, Feb. 2, 2018. Sabrina Shankman, “Trump’s Arctic Oil, Gas Lease Sale Violated Environmental Rules, Lawsuits Claim.” Inside Climate News, February 2018. "What You Should Know About the National Environmental Policy Act." Earthjustice. Summary of the National Environmental Policy Act, 42 U.S.C. §4321 et seq. (1969). U.S. Enviromental Protection Agency. Trip Van Noppen, “Selling this Cherished Arctic Landscape to the Highest Bidder is a Grievous Mistake.” The Guardian, Dec. 5 2017. Mr. Samuel Alexander, Tribal Member, Gwichyaa Zhee Gwich’in Tribal Government, speaking before the Full Committee Hearing to Receive Testimony on the Potential for Oil and Gas Exploration in the 1002 Area at the 366 Dirksen Senate Office Building on Nov. 2, 2017. Princeton University. "A more potent greenhouse gas than carbon dioxide, methane emissions will leap as Earth warms." ScienceDaily. ScienceDaily, 27 March 2014. 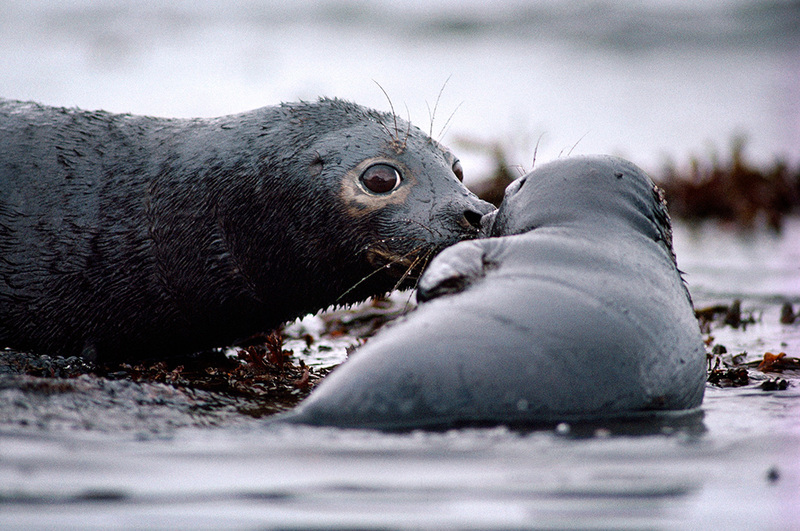 "Arctic Oil Drilling Plans Raise Environmental Health Concerns." Environmental Health Perspectives, National Institute of Environmental Health Sciences, Mar. 1, 2011. "Health Risks in US States from Oil and Gas Air Pollution." Clean Air Task Force, Feb. 2017. "As Long Promised, President Vetoes The G.O.P. Budget." The New York Times, Dec. 7, 1995. 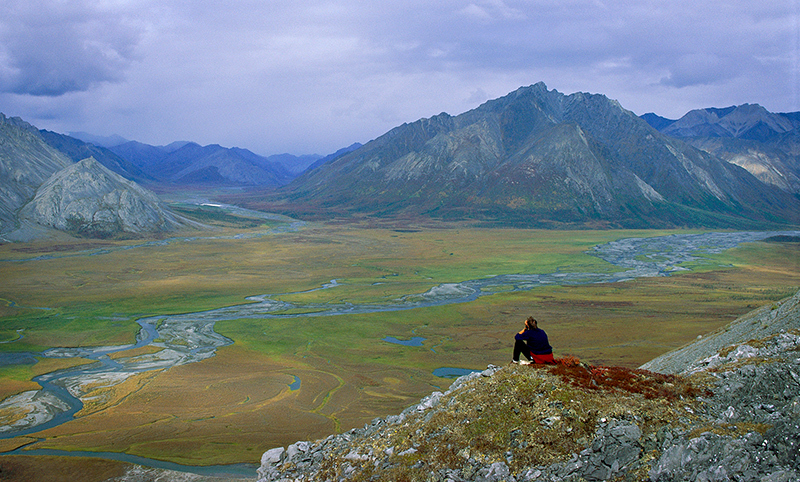 "GOP Scraps ANWR Drilling, But Budget Battle Persists." NPR, Nov. 10, 2005. "Government Gives Go Ahead to Shell to Top Drill in Arctic." Earthjustice, Aug. 30, 2012. Birdseye, Kari. "Shell's 'Happy' Mood Smashed By Ice." Earthjustice, Sept. 14, 2012. Funk, McKenzie. "The Wreck of the Kulluk." The New York Times, Dec. 30, 2014. "Shell Ends Risky Oil Drilling in the Arctic’s Chukchi Sea." Earthjustice, Sept. 28, 2015. "Earthjustice Statement on Shell, ConocoPhillips Abandoning Leases for Oil Drilling in Arctic Ocean." Earthjustice, May 10, 2016. 43 USC Chapter 29, Subchapter III: Outer Continental Shelf Lands. Bureau of Ocean Energy Management. Presidential Memorandum -- Withdrawal of Certain Portions of the United States Arctic Outer Continental Shelf from Mineral Leasing. Dec. 20, 2016. Kevin Lamarque, “Obama Bans New Oil and Gas Drilling Off Alaska.” Reuters, Dec. 20 2016. "FACT SHEET: President Obama Protects 125 Million Acres of the Arctic Ocean." U.S. Department of the Interior, 2016. Final Supplemental Environmental Impact Statement for Oil and Gas Lease Sale 193. Bureau of Ocean Energy Management, Feb. 12, 2015. "Analysis Confirms Major Risks from Oil Drilling in the Remote and Fragile Arctic Ocean." Earthjustice, Feb. 12, 2015. Executive Order 13795: Implementing An America-First Offshore Energy Strategy. Office of the Federal Register, National Archives and Records Administration, Apr. 28, 2017. Brady Dennis, “Environmental Groups Sue Trump Administration over Offshore Drilling.” Washington Post, May 3 2017. "Lawsuit Challenges Trump Reversal of Arctic and Atlantic Drilling Ban." Earthjustice, May 3, 2017. "Court Allows Conservation and Alaska Native Groups to Challenge Trump’s Reversal of Arctic and Atlantic Drilling Ban." Earthjustice, March 20, 2018. See legal documents related to the lawsuit. "Trump Administration’s New Leasing Plan Would Expand Offshore Drilling Everywhere." Earthjustice, Jan. 4, 2018. "Secretary Zinke Announces Plan For Unleashing America's Offshore Oil and Gas Potential." U.S. Department of the Interior, Jan. 4, 2018. Ledyard King, “Trump Administration Proposes Massive Increase in Offshore Drilling." USA Today, Jan. 4 2018. Eric Lipton, “Trump Rollbacks Target Offshore Rules ‘Written With Human Blood.’” The New York Times, Mar. 10, 2018. 7th Symposium on the Impacts of an Ice-Diminishing Arctic on Naval and Maritime Operations, Jul. 18, 2017. Video of Anchorage rally organized by Defend the Sacred Alaska, Feb. 21, 2018.